It’s always nice to be nominated but its even nicer to be voted for. 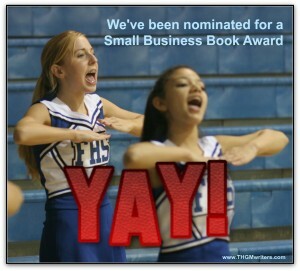 We’ve been nominated for a Small Biz Book Award. Feel like voting for us? We have been nominated at the Small Business Book Awards. That’s really cool. I don’t usually enter awards like this, but since we are nominated, I might as well ask you for your support. It is a good venue to let the world know that we write great business books.